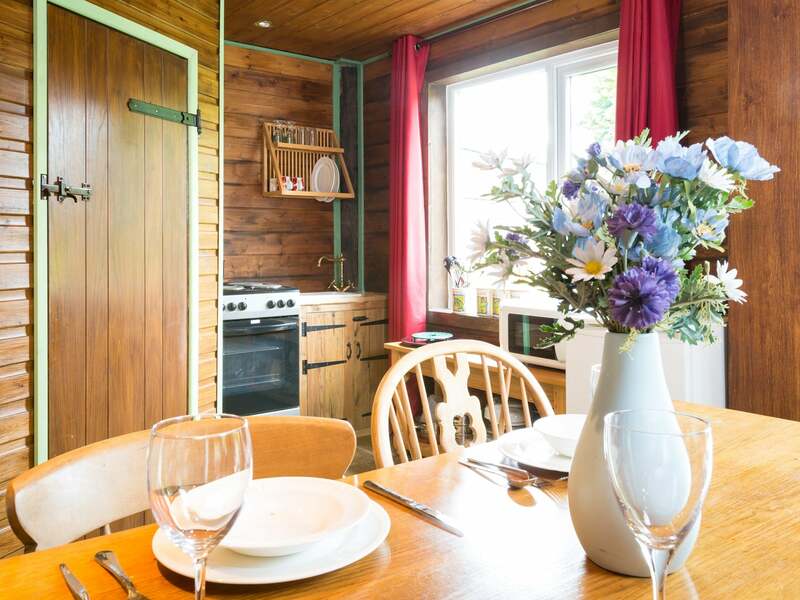 The lodge is a cosy studio property located in lakeside surroundings. 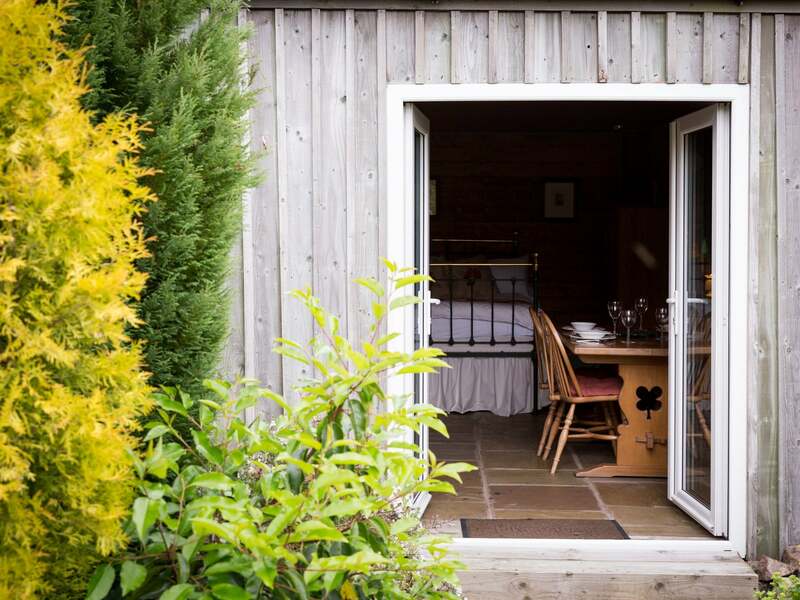 Located within six acres of enchanting gardens which include a kitchen garden and an immaculate Japanese garden. The owner has chickens which swan around the grounds and add to the idyllic country character of place. 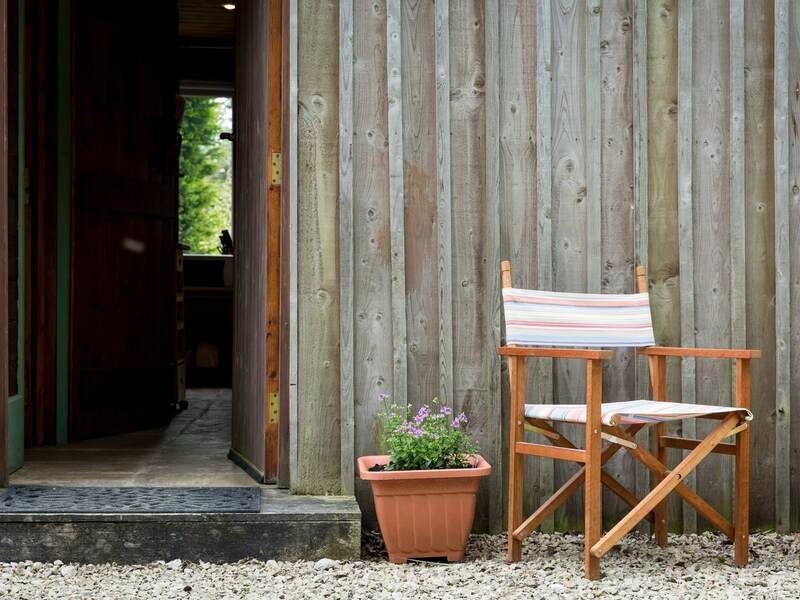 There is also an enclosed courtyard seating area which provides a great spot for a BBQ. 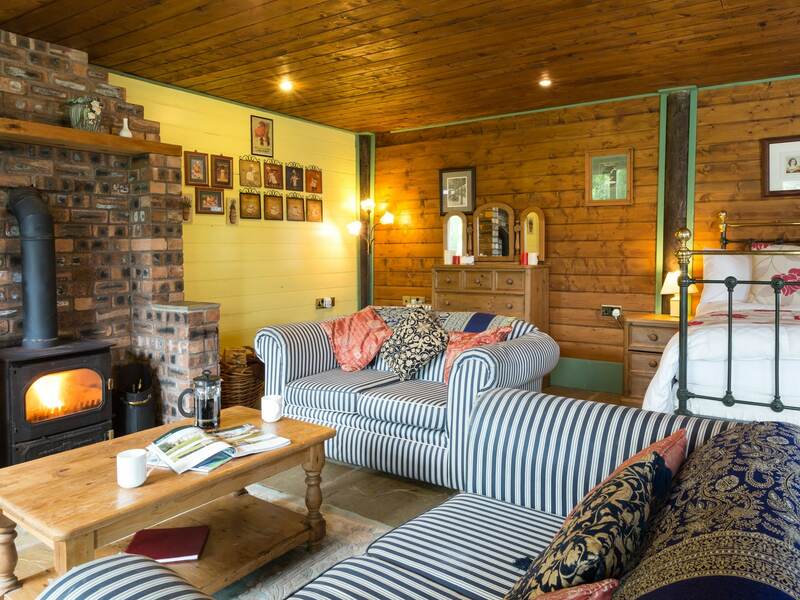 Inside the property there is a spacious yet cosy lounge area complete with a wood burner set into a stone surround that makes a lovely central feature to the room. Guests can relax in the lounge area in front of the Sky TV after a day spent boating on the lake. 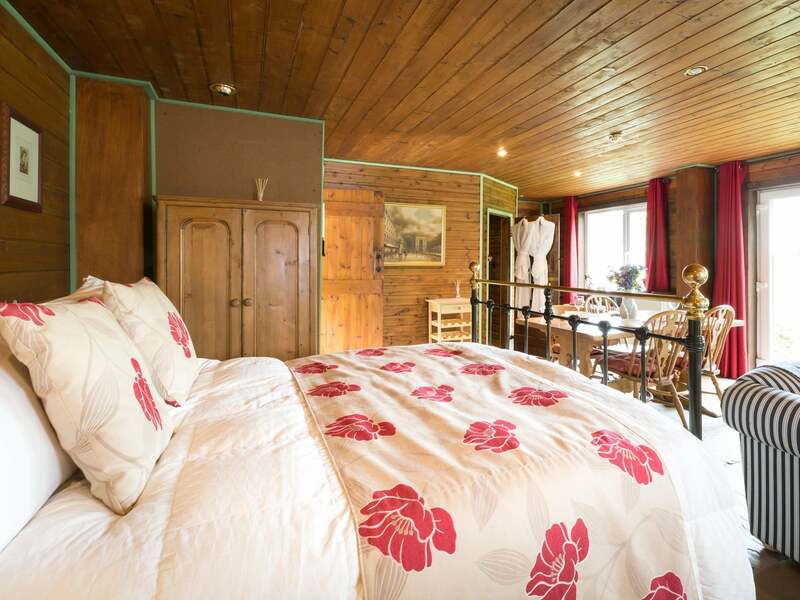 The studio has a double bed that s perfect for a peaceful sleep. There is a modern kitchen-dining area that is fully equipped with all the essentials that guests require. 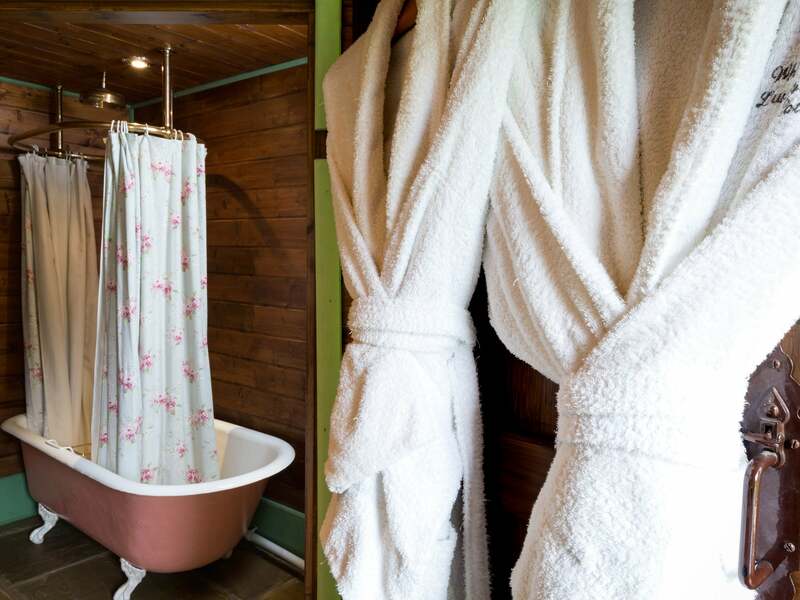 A bathroom with a roll top bath shower-over hand basin and toilet perfectly completes this charming studio accommodation. 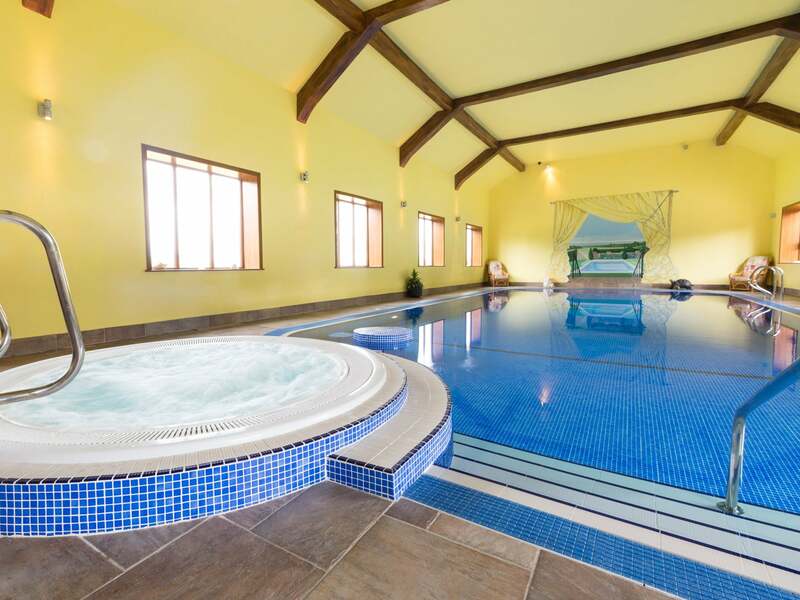 On rainy days guests can head to the shared indoor heated swimming pool and hot tub or take a sauna to completely unwind and relax. 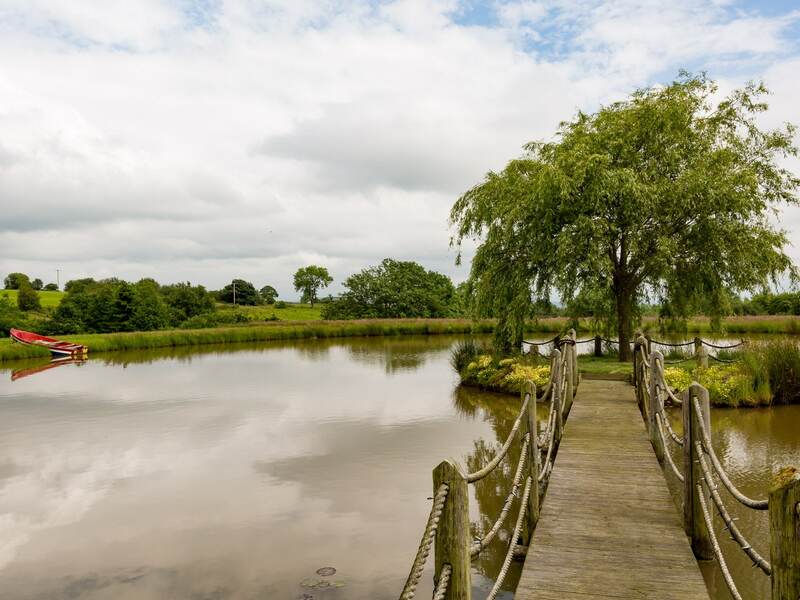 Offering outstanding views across the surrounding countryside of the Staffordshire Moors. 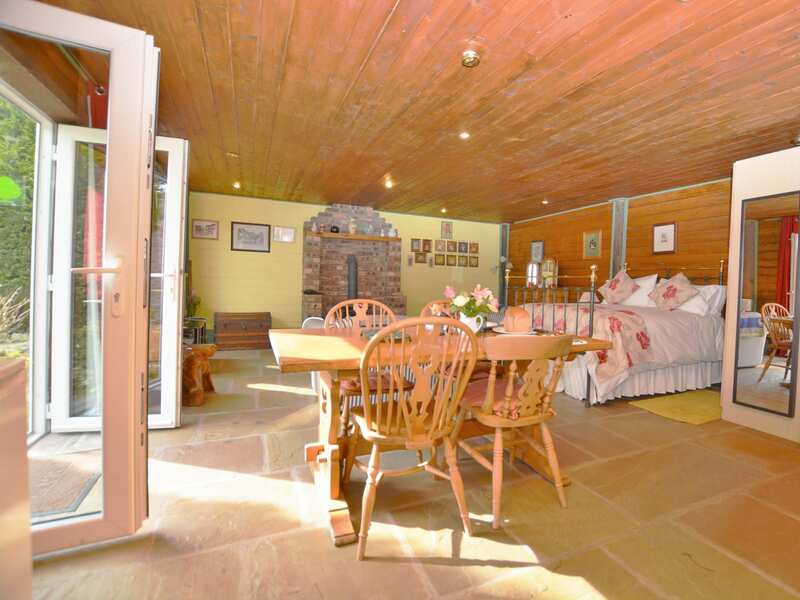 The lodge is aptly positioned for making the most of the surrounding landscape. For those who want to have fun on the water Rudyard Lake offers boat hire and fishing or if guests prefer to stay on dry land there are excellent cycling trails and walks around the lake. 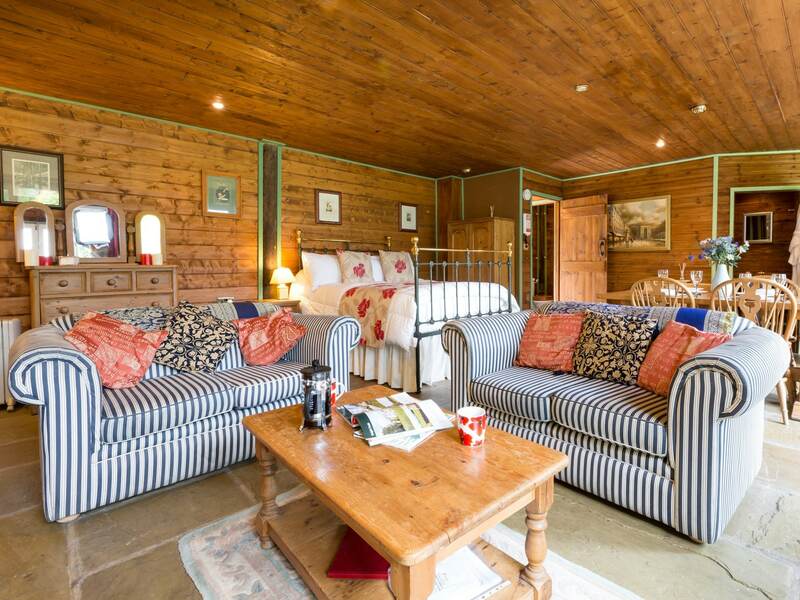 What better way to hide out and recharge in the Peak District?